Ok, we’ve heard it before. We should be writing down goals. 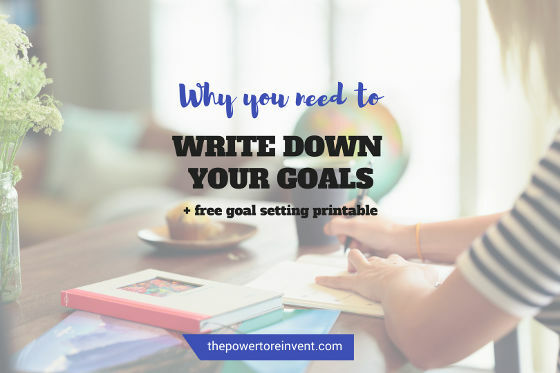 But what difference does the simple act of writing down goals really make? The answer. A big difference. The scientific and anecdotal evidence for writing down goals is overwhelming. Put simply, writing down your goals has a powerful impact. It increases your chances of success. Writing down goals signals to the universe that we are ready to receive. It activates our subconscious to look for opportunities. And the universe begins to align to bring us what we want. As a goal expert, I believe that an unwritten goal is merely a wish. After a decade of working with hundreds of clients and applying writing down goals in my own life, I have seen the results first hand. 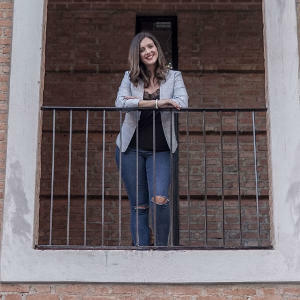 Writing down goals saw me quit my 9-5 job, travel to Bali, Thailand and Tedx. Just a month ago I worked with a client who wanted to move into her dream house. In our session, she wrote down in detail what it looked like. A month later she had found the house, she had specifically described. For me, writing down goals is a life-long habit of success. And after reading the evidence and real-life stories we have gathered, you’ll be rushing for that pen and paper. 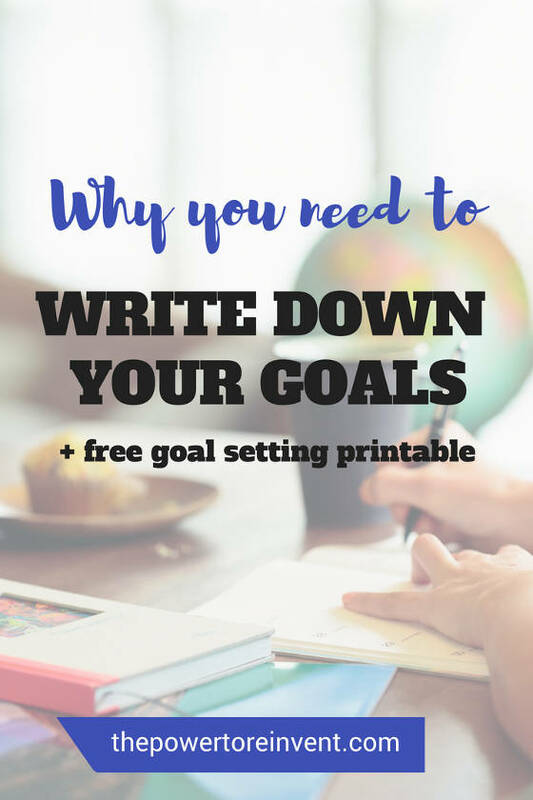 Why you need to write down goals? We all have goals safely stored in our minds, things we want to achieve, changes we want to make in our life. And those goals can feel pretty clear. We feel like we know what we want to achieve, so why bother to write it down? But the truth is, the simple task of writing down goals can have a powerful impact. 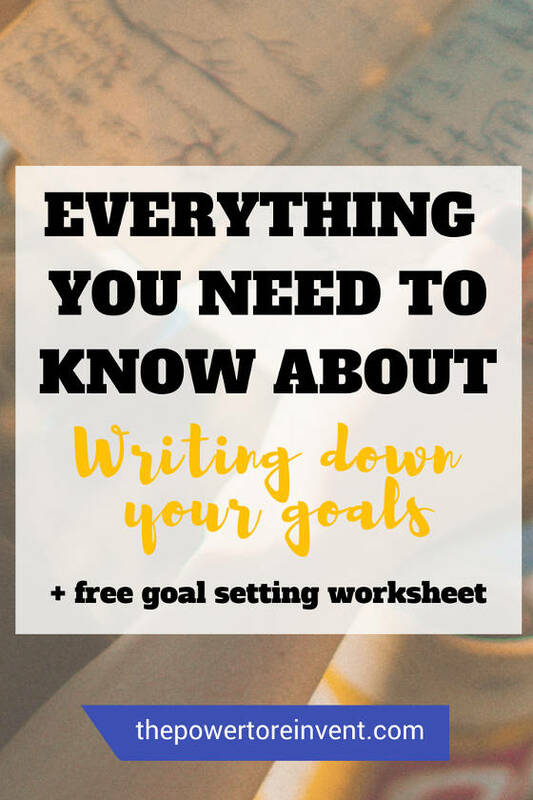 Let me share with you a bit about the psychology of writing down goals. A Harvard Business Study found that people with written goals are x3 more successful, than those who don’t write down goals. And they aren’t alone in their findings. Gail Matthews from Dominican University completed a study with 267 participants on goals setting. Gail’s research found that writing down your goals makes you 42% more like to achieve them. Truly incredible statistics that demonstrate why you need to write goals down. Football coach Lou Holtz discovered the life-changing magic of writing down goals at twenty-eight. At the time he was an out of work football coach, expecting his third child with his wife — he was in a bit of a slump. In an attempt to motivate him, his wife bought him The Magic of Thinking Big by David J. Schwartz. It was this book that Lou uncovered the art of writing down goals. Twenty-eight and unemployed, Lou sat at his kitchen table wrote his list of big goals, totalling 107. 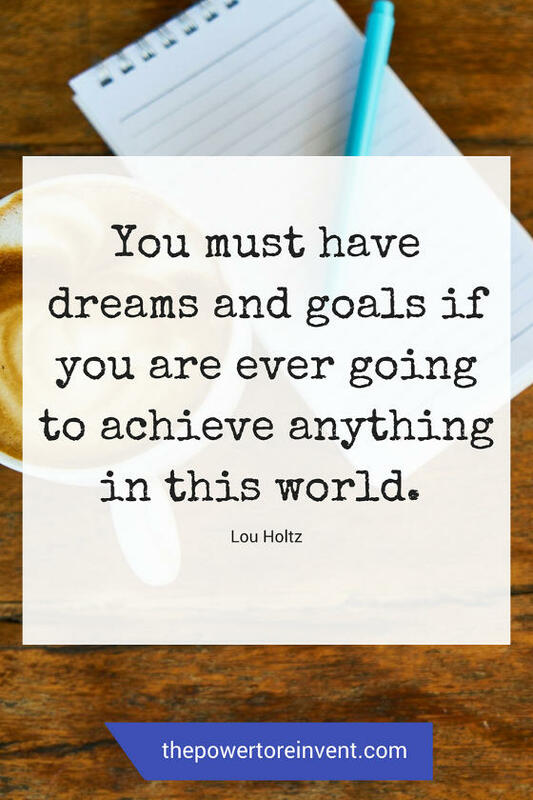 You must have dreams and goals if you are ever going to achieve anything in this world. His goals included having dinner at the White House, appearing on The Tonight Show and becoming Head Coach of Notre Dame. All of which he went on to achieve. At last count, he has ticked off 102 goals from his list. Pretty powerful motivation as to why you need to write down your goals. And think big. So why does writing down your goals work? When you write down your goals, you activate a part of the brain called the Reticular Activating System (RAS). You could say the RAS is like a superhuman personal assistant. The RAS is a giant filter for urgent and non-urgent messages. It sends the urgent messages to the conscious part of our brain, so we can take action and files the non-urgent in our subconscious. Writing down goals enables us to effectively communicate with our RAS. It’s like saying ‘hey this is important to me, and if you notice anything can you send it straight through to my conscious mind’. And like a superhuman personal assistant, it does exactly that. Our RAS works in the background as a powerful force. It spots opportunities, notices people we should connect with and tunes into important conversations. It looks for anything that will take us closer to our goal. Allow me to share an example from my own life. Seven years ago, I wrote down a goal to attend acting classes. I had always loved acting and felt my life could use a little more creativity. A day after writing down my goal I noticed a poster at the end of the street I lived on. The poster said: ‘Want to get back into acting? Local acting classes now available’. I couldn’t believe it. I had walked passed that poster a thousand times and never noticed it. Yet just 24hr hours after instructing my amazing personal assistant RAS — there it was. The exact thing I needed, at exactly the right time. This is a simple, real-life example of our RAS in action and the power of writing down goals. Writing down goals makes them happen. The simple act of writing down goals can have the most incredible impact on our lives. When you write down your goals we set an intention. We put our dreams out into the universe with intention and declare ‘this is what I want to achieve’. As we take practical action towards our goals, the magic happens. Writing down goals activates The Law of Attraction, our RAS, and the universe aligns to make it happen. Opportunities arise and people appear — just right when we need them. In ways that will simply blow your mind. And the best bit about this incredible success boosting technique? It this comes at virtually zero cost. All you need is a big goal, a pen, and some paper. But if you are left wondering – what next? How do I write goals? We got you covered. We pride ourselves on giving you the best resources to take action towards your goals. 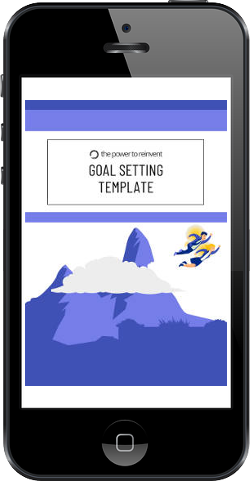 You can download our free POWER Goal template here. It will take you through step by step, how to set and write your goal. And why not join the hundreds of others that have checked out shared our Ultimate Goal Setting Guide. It’s perfect to help you set and achieve these big goals. Finally, we would love to hear your experience of writing down goals. Pop us a message in the comments! Inspire others and share your learning #sharingiscaring.